I have watched this with my daughter several times, and it is a good movie for kids in most ages. Despite being a classic Disney there is no death of parent or similar catastrophic scary event. There is a few challenges, but they are easily overcome by loyalty and love, and it all has a happy ending. 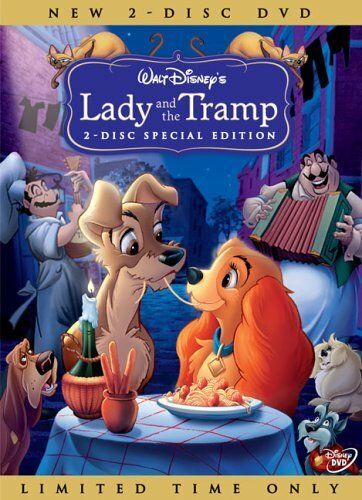 Not too bad if you like old classic Disney movies - and the spaghetti kiss is an iconic moment in all animation and children’s movies.